YipTel provides a variety of local and nationwide local service products that can be customized to meet your individual needs. If you are looking for a lower cost replacement for your local dial tone, then YipTel can provide you with local numbers in your local calling area with unlimited local inbound and local outbound calls. 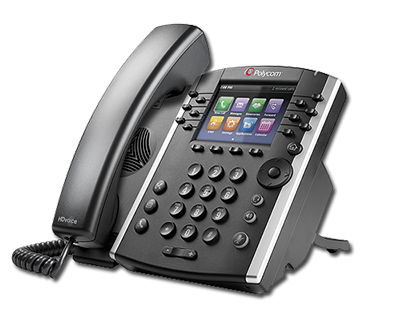 This comes combined with our Cloud PBX product and delivers the highest reliability, features, and quality service. Many companies want to connect to remote offices and remote employees across the county. YipTel National Local VoIP service numbers across the country for remote users and offices so that you are able to show a local number on outbound caller Id and maintain that local connection to your clients. Our Local VoIP numbers provide unlimited local inbound and local outbound calls as part of your service. Some organizations would like a local number in every rate center across the country so that as they place calls to those areas it shows a local outbound number as this dramatically increases your ability to connect with clients when they see a local number. YipTel Nation Wide Local presence is the perfect solution for our clients that want to maintain a local number in every calling area in the country. YipTel provides In-State, State to State, International, and 800 inbound calling services on a single bill at the most competitive rate available. YipTel will simplify your communications billing and service as there is just one company to call. Our expert service team will assist you in acquiring numbers and establishing the services you need. YipTel provides Pay As You Go plans or you can choose our Unlimited Long Distance product that delivers a higher volume bundled calling plan. Our Pay As You Go plan will have specific per minute Long Distance rates for your calls. Our rates are exceptional and based upon your total long distance revenue. YipTel also offers an Unlimited Long distance plan that will provide you with a higher bundled long distance service for clients with greater call volume. Inbound 800 Service is also available with numbers in the 800, 877, 866, and 855 ranges. 800 service is an inbound product that allows your clients to call you without receiving long distance charges on their bill. You pay for the low per minute rates for clients that call you on these numbers. Businesses use these numbers because it allows their clients to talk to them without incurring costs to do so. YipTel is built on a SIP standard network and we deliver our SIP Cloud based and SIP Private Cloud solutions to your business and deliver the highest availability and value. We can work with you to design failover and high availability solutions to guarantee service. Over the years the telecom industry has evolved dramatically in the types of products and services it has provided. Analog service is still used in many business and residential applications today but this Plain Old Telephone Service (POTS) is quickly fading as new technologies like SIP have evolved. Older Analog and even the newer Digital services like T-1 and PRI are limited due to the fact that they require physical copper connections. When these connections are cut or expierence trouble your service will go down and you have to wait for them to be repaired or call the carrier and hope they can temporarily forward you calls to a cell phone. This can be very damaging to a business in loss of business and reputation. SIP uses IP connections that can be delivered to your business over a variety of mediums including copper, fiber, and wireless. If one of these connections were to experience a problem, SIP allows you to program a secondary route so that calls can be automatically rerouted. This superior design as well as the lower cost of delivery is why SIP is leading the business market today. For companies that have older phone systems YipTel can deliver a SIP based solution to your business and then provide an interface unit that will allow us to deliver a SIP PRI, SIP T-1, or even SIP analog lines to your business.